The first-ever ARRL Youth Rally will be a feature of the League's menu of activities at Hamvention® 2016. The event is set for Saturday, May 21, and requires advance online registration. Hamvention takes place May 20-22, and the centerpiece of ARRL Hamvention exhibits and activities is ARRL EXPO, a huge exhibit area in one of the main exhibit halls in Hara Arena. The ARRL Youth Rally is open to youth and young adults aged 11 to 26. Participants will enjoy a full program of hands-on ham radio activities, discovery, sharing, and fun! "ARRL is especially excited to introduce a way for young hams and soon-to-be hams to meet each other and experience some cool activities," said ARRL EXPO Manager Bob Inderbitzen, NQ1R. "The model for the ARRL Youth Rally is based on a full-day camp program, and our goal is to encourage young radio amateurs to get active, get involved, and get on the air." Preliminary Youth Rally agenda and registration instructions are on the ARRL website. The ARRL Youth Rally is $20 for ages 11-17, and free for young adults ages 18-26. The fee covers the cost of lunch, a T-shirt, and all Youth Rally materials. The official ARRL Exhibit & Activities Guide for Hamvention 2016 is available now. 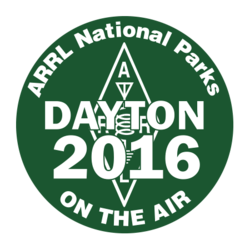 ARRL has also announced its lineup of Dayton Hamvention® forums. A list of all Hamvention forums is on the Hamvention website. Read more. The ARRL VHF Contest Revitalization (VCR) Committee has drafted rules for a proposed new UHF and Up Contest and now is seeking input from the contesting community. The invitation follows the Committee's review of "considerable input from the amateur community." "In proposing the new rules, the Committee sought to respond to some of the most frequently received comments and to provide a 'test bed' for changes that might be considered for other non-HF contests in the future," ARRL Central Division Vice Director and VCR Chair Kermit Carlson, W9XA, explained. "At this time, everything is a proposal -- open for comment, and definitely in flux." Use distance-based scoring rather than a geographic multiplier system. The August timing is too close to other VHF+ contests, and/or it's too hot for roving. More incentive is needed to invest time and effort in making higher-band contacts. Existing rover rules are too complicated and too restrictive. Current VHF+ contests have too many entry categories. Scoring potential varies widely from one geographic region to another. The draft contest proposal uses distance scoring, with point multipliers for contacts made on higher bands. To encourage roving, it simplifies rover rules to include those who do not travel great distances, and mobile stations. It includes just three entry categories and features regional, rather than national, competition. It adds team competition for small groups of operators who may not be part of a contest club. ARRL Central Division Vice Director and VCR Chair Kermit Carlson, W9XA. The event would be held in the spring, between the January and June VHF contests. Nothing is final yet -- not even the name of the contest, Carlson stressed. The Committee would like to hear from veteran and prospective VHF+ contest participants before it moves ahead with any additional changes. Submit comments by e-mail by June 15. The Committee also encourages more local outreach -- articles, announcements, seminars, and mentoring -- to draw new participants into this and all radiosporting activities. Expanding the pool of potential contacts will make these contests more enjoyable for everyone, and Carlson said he hopes that commenters will share their outreach ideas with the Committee too. The first-ever satellite to carry a D-STAR (Digital Smart Technologies for Amateur Radio) Amateur Radio payload into space is expected to launch on April 22 from Guiana. 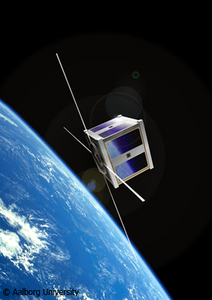 The OUFTI-1 (Orbital Utility For Telecommunication Innovations) CubeSat is one of three CubeSats developed by student teams under the European Space Agency (ESA) Education Office "Fly Your Satellite!" program, which is aimed at training the next generation of aerospace professionals. The satellites arrived in South America on March 25, followed by the student teams a few days later. On March 30 the students pulled the "Remove Before Flight" pins and successfully verified that their CubeSats were ready for launch before replacing the access ports on the P-POD, which will secure the CubeSats prior to and during launch and then will release them into orbit. The next time the students will have contact with their respective CubeSats will be through their spacecraft's communication link, after the CubeSats have been deployed into orbit. Once thermal-optical tape has been applied to the P-POD to shield the CubeSats from extreme thermal radiation during the launch phase, the P-POD will be integrated with the Soyuz launch vehicle. Constructed by students at the University of Liege in Belgium (ULg), OUFTI-1 will be the first satellite to carry an Amateur Radio D-STAR transponder. Developed by the Japan Amateur Radio League, D-STAR enables the simultaneous transmission of voice and digital data as well as call sign-based roaming via the Internet. "The OUFTI-1 D-STAR repeater will be available either as a direct communication repeater between two users, and as an extension of the ULg D-STAR repeater," explains the article "D-STAR digital amateur communications in space with OUFTI-1 CubeSat" by Jonathan Pisane, ON7JPD; Amandine Denis, ON4EYA, and Jacques Verly, ON9CWD, all of ULg. The CubeSat's frequencies are 145.950 MHz (FSK AX.25), and D-STAR down, with an uplink at 435.045 MHz. OUFTI-1 will carry a CW beacon transmitting on 145.980 MHz. The other two CubeSats are from Italy and Denmark. 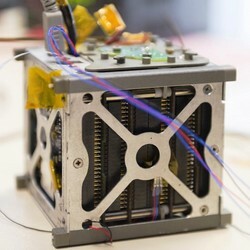 The CubeSat e-st@r-II from the Polytechnic University of Turin, Italy, will demonstrate an attitude control system using measurements of Earth's magnetic field. It will transmit CW and 1.2 k AFSK on 437.485 MHz. AAUSAT4 from the University of Aalborg, Denmark, will operate an automated ocean vessel identification system. It will transmit on 437.425 MHz. 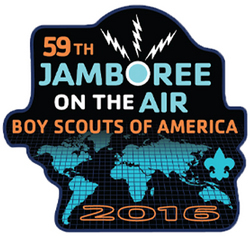 The countdown to the 2016 Jamboree on the Air (JOTA) is under way, and the Boy Scouts of America (BSA) are hoping for a more resounding turnout than last year's for this fall's 59th JOTA. Radio Scouter Don Kunst, W3LNE, told ARRL that the JOTA committee has expanded, along with efforts to get the word out and raise awareness of JOTA through news and social media outlets. In addition, he said, the JOTA organizers will be making it easier for participants to register and to file their post-JOTA activity reports. JOTA introduced its 2016 patch earlier this year. "We've got a lot of things in the pipeline," Kunst said, adding that he's been working closely with National JOTA Organizer Jim Wilson, K5ND, and with the international Scouting organization during the run-up to the October 14-17 event. 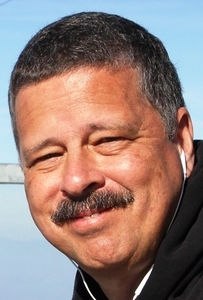 Kunst is looking forward to a more prominent presence for JOTA and Radio Scouting at Dayton Hamvention®, where he plans to also take part in a couple of Amateur Radio-related webcasts. 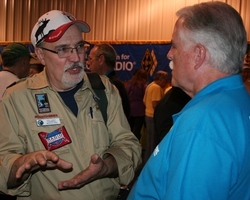 Kunst said the JOTA-Radio Scouting booth will be a part of ARRL EXPO at Hamvention. JOTA is the largest Scouting event in the world. In a typical year more than 1 million Scouts participate from some 11,000 stations in 150+ countries. The annual Radio Scouting event uses Amateur Radio to link Scouts around the world. Held each year on the third full weekend in October, the worldwide jamboree involves the cooperation of radio amateurs and clubs willing to make a ham shack and control operator available for local Scouts to participate. "It's actually pretty close," Kunst said in stressing the increasing urgency of JOTA 2016 preparations. He told ARRL that he will be doing more "how-to" articles regarding JOTA to help boost participation from last year and, he said, "to help people feel more comfortable in promoting the event" locally. "Obviously, at the national level, we can't run the event. All we can really do is be a resource and a clearing house of information," Kunst said. In 2015, the BSA reported that JOTA participation by Scouts was down for the third straight year, dipping by 8 percent from 2014, although the number of registered stations and station reports last fall remained about the same. The BSA said 12,255 Scouts and visitors took part in JOTA 2015. Getting participating stations to file post-JOTA activity reports was a problem in 2015, with only 60 percent of registered stations doing so. The 346 total stations registered for JOTA 2015 represented a slight improvement from 2014, however. The Scouts have blamed the depressed statistics on persistent challenges from propagation, other operating events, a lack of council involvement, and a failure to get information to those needing it. ARRL has posted a new guide, "Find a 'Doctor' Near You" to help "ARRL The Doctor is In" visitors to locate, download, and enjoy the popular podcast. The inaugural episode on HF Verticals remains available. "ARRL The Doctor is In" is sponsored by DX Engineering. "ARRL The Doctor is In" is a lively discussion of all things technical. Listen on your computer, tablet, or smartphone -- whenever and wherever you like! Every 2 weeks your host, QST Editor in Chief Steve Ford, WB8IMY, and the Doctor himself, Joel Hallas, W1ZR, will discuss a broad range of technical topics. E-mail your questions to doctor@arrl.org, and they may be answered in a future podcast. "Does CW Really Get Through When Nothing Else Can?" will be the topic of the next "ARRL The Doctor is In" audio podcast, available on April 21. Enjoy "ARRL The Doctor is In" on Apple iTunes or on Stitcher (sign in or use as a guest). You can also listen to the current episode on Blubrry. Podcast episodes will be archived on the ARRL website. On Saturday, April 9, the first EME (moonbounce) contacts in the ARRL National Parks on the Air event (NPOTA) were made from Lake Dardanelle State Park in Arkansas, which counts for the Trail of Tears National Historic Trail. The two operators, Dennis Schaefer, W5RZ, and George Cotton, WB5JJJ, set up near the lake and ran 50 W into a K1FO design 22 element Yagi on 432 MHz, using JT65B digital mode. Power was supplied by eight sealed lead-acid batteries. They worked four European stations -- DK3WG, OK1DFC, HB9Q, and DL7APV. "I've planned this for a couple of months, so it was gratifying to see it work!" said Schaefer. National Parks Week is April 16-24, and World Amateur Radio Day is April 18. Listen for NPOTA activity from 71 different activations during the week of April 14-20, including Sequoia National Park (NP50) in California, and Russell Cave National Monument (M64) in Alabama. Details about these and other upcoming activations are on the NPOTA Activations calendar. Time is running short to apply for a spot in the ARRL Teachers Institute this summer. Now in its 13th year, the Teachers Institute is an intensive expenses paid professional development opportunity for educators who want to receive training and resources to explore wireless technology in the classroom. The deadline to apply is May 1. 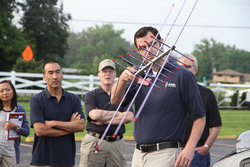 ARRL Teachers Institute Instructor Tommy Gober, N5DUX (holding antenna), demonstrates Amateur Radio satellites to members of a class in 2014. Topics at the Introduction to Wireless Technology (TI-1) course include basic electronics, radio science, microcontroller programming, and basic robotics. The advanced Teachers Institute on Remote Sensing and Data Gathering (TI-2) is available to those who have completed TI-1. Visit the ARRL Teachers Institute web page for more details and to download an application. The article "ARRL Teachers Institute on Wireless Technology," in the March QST offers a schedule and more information on the courses. Read the article "Amateur Radio in the STEM Classroom," by Edith Lennon on page 11 of the April issue of Tech Directions to learn what other ARRL Teachers Institute participants have initiated in their classrooms. Contact ARRL Education Services Manager Debra Johnson, K1DMJ, with questions or to request a brochure. Spaces are limited! Apply now! The SSB edition of ARRL Rookie Roundup returns on Sunday, April 17, getting under way at 1800 UTC and continuing through 2359 UTC. For the purposes of this operating event, a "Rookie" is any radio amateur licensed within the current calendar year or in the previous two calendar years, regardless of license class. The goal of Rookie Roundup is to encourage recently licensed operators in North America (including territories and possessions) to operate on the HF bands and experience competitive Amateur Radio operating. Rookie Roundup events take place three times a year: SSB in April, RTTY in August, and CW in December. Experienced operators are encouraged to participate and help new operators -- either on the air or in person. Old Timers may want to consider making their stations available to rookies and serving as contesting mentors. Rookies call "CQ Rookie Roundup," while veteran ops call "CQ Rookies." Exchange the call sign of the station you're working, your call sign, your first name, the two-digit number of the year first licensed, and your state, Canadian province, Mexican call area, or DX. Rookies exchange information with as many other stations as possible on 80, 40, 20, 15, and 10 meters. Contact ARRL Contest Branch Manager Bart Jahnke, W9JJ, for more information. Read more. The results are in for the February 2016 ARRL School Club Roundup. Turnout for the winter event was very good, especially by college-level clubs. There's also growing digital activity. Topping the Elementary/Primary School field was the Dresden Elementary Amateur Radio Station (DEARS) team at KD8NOM. The Ohio school racked up 102,828 points, mostly on SSB but with a handful of CW/digital contacts. KF5CRF sponsor Clifton Harper, KE5YZB, mentors students in the Mangum Public Schools, where he teaches a World Communications class. The Schofield Middle School Radio Club, operating N4SMS, had the top score in the Middle/Intermediate/Junior High School category. The South Carolina school ran up 428,808 points in an all-SSB effort that included contacts with 49 states. In the Senior High School category, the Tiger Radio Club, KF5CRF, of the Mangum, Oklahoma, Public Schools, took 1st place with 268,793 points. Texas A&M University had the top score in the College/University category, achieving 428,544 points from W5AC. The team had 1016 contacts, 50 of them on CW or digital modes. Besting the field in the Club/Multi-Op category (W/VE) was the Duluth Children's Museum's N0DCM, with 34,572 points, mostly from phone contacts but with 59 CW/digital QSOs as well. According to a post on the IARU Region 1 website from Don Beattie, G3BJ, the 2016 World Amateur Radio Direction Finding Championships are expected to attract a record-breaking number of participants. The World ARDF Championships will take place in the Black Sea resort of Albena, Bulgaria, on September 3-9. The Championships are expected to be a huge event, and so far 374 participants from 33 countries on four continents have declared their intentions to take part in the events. The tally is expected to reach 400 participants from 39 countries, which would top the current record. The International Amateur Radio Union (IARU) has announced the appointment of Hans Blondeel Timmerman, PB2T, as IARU Satellite Advisor, effective immediately. Blondeel Timmerman succeeds Hans van de Groenendaal, ZS6AKV, who had served as IARU Satellite Advisor since 1994. Van de Groenendaal established many of the Amateur Satellite frequency coordination procedures and has been a critical contributor to the IARU coordination process. Newly appointed IARU Satellite Advisor Hans Blondeel Timmerman, PB2T. The IARU Satellite Advisor represents the IARU to the satellite community and the various amateur satellite organizations and handles satellite frequency coordination. In addition, the Satellite Advisor maintains a database of coordination requests and letters, reports to the IARU Administrative Council on issues related to satellites and satellite frequency coordination, and, if requested, provides technical and operational advice to assist in representing the Amateur Satellite service to the International Telecommunication Union (ITU). A panel of volunteer satellite advisory members assist the Satellite Advisor. 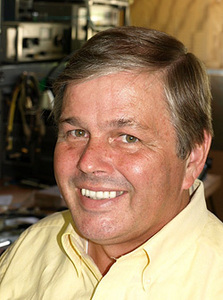 Licensed since 1980, Blondeel Timmerman served VERON as its HF Manager from 2000 until 2001 and as Vice President from 2001 until 2008. He was a member of the IARU Region 1 Executive Committee from 2002 until 2008 and served as IARU Region 1 President from 2008 until 2014. He has been European DX Foundation (EUDXF) President since 2004, and is a member of the YASME Foundation Board of Directors. Read more. 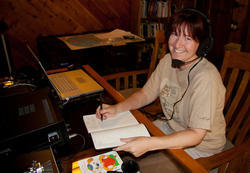 AMSAT Phase 4 Ground Team Leader Michelle Thompson, W5NYV. 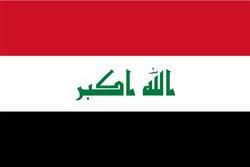 Iran DXpedition Set: If you missed out on the EP6T DXpedition last year, another is expected on the air from Iran April 16-25. The EP2A operation, headed by Yuris Petersons, YL2GM, initially was planned for last fall, but the paperwork reportedly took longer than expected. Others on the team include YL3CW, YL2KA, UT7UJ, US7UX, UT7UV, UX0LL, EP3MIR, and EP2LMA. EP2A plans to be on all bands 160 to 6 meters (excepting 60 meters). EP2A will be running high power and appears to be well equipped for antennas. Tad Cook, K7RA, Seattle, reports: There was an upward bump in recent solar activity, with average daily sunspot number for the April 7-13 period at 32 (compared to 19.1 for the previous 7 days) and average daily solar flux rising 23 points to 106.1. The average daily planetary A index rose 3 points to 12.4, and the average daily mid-latitude A index went from 7.6 to 8.3. For the near term, predicted solar flux is 105 on April 14-16; 100 on April 17-19; 90 on April 20-21; 100 on April 22-23; 95 on April 24-29; 90 on April 30-May 3; then 95, 100, 105, and 110 on May 4-7; 112 on May 8-13, and 115 on May 14-17. Solar flux then drops below 100 on May 21 and beyond. Predicted planetary A index is 30, 12, 8, 5, 8, and 12 on April 14-19; 8 on April 20-21; 5 and 12 on April 22-23; 10 on April 24-25; 8 on April 26; 5 on April 27-28; then 20, 15, and 8 on April 29-May 1; 5 on May 2-3; 12 and 8 on May 4-5; 5 on May 6-7; 8 on May 8-9, then 18, 30, and 10 on May 10-12; 5 on May 13-16, and 8 on May 17-18. Sunspot numbers for April 7 through 13 were 26, 27, 29, 26, 41, 34, and 41, with a mean of 32. The 10.7 centimeter flux was 92.3, 98.3, 105.5, 110.6, 116.6, 111.3, and 108.2, with a mean of 106.1. Estimated planetary A indices were 17, 9, 3, 7, 6, 19, and 26, with a mean of 12.4. Estimated mid-latitude A indices were 10, 6, 3, 6, 5, 12, and 16, with a mean of 8.3. Send me your reports and observations!